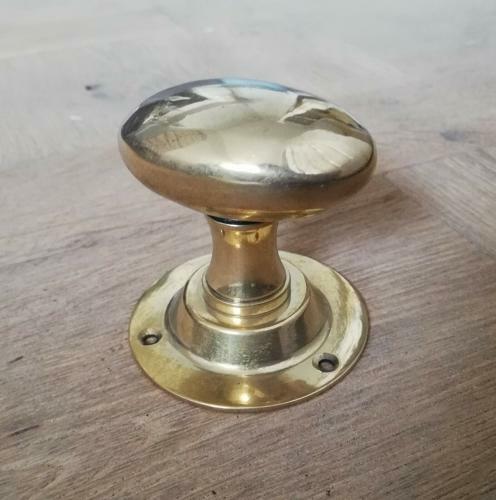 A pair of fantastic modern brass door knobs with door plates. The knobs are a well made reproduction of a traditional classic design, typical of the late Victorian, Edwardian era. The knobs have attached door plates that have holes for fixing screws. One handle is photographed but the listing is for a matching pair and adjustable spindle bar. The brass has some slight tarnish and wear. The door knobs have a very attractive, classical period look and would be ideal paired with an antique or modern door.